Junior players in the M.T.A who are between 12 and 18 years old, are passionate about tennis and improving themselves and others. 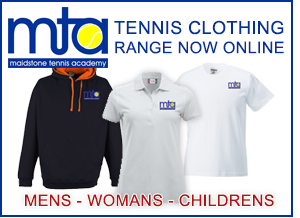 The M.T.A Tennis Apprenticeship scheme is FREE and takes 6 months (18 coaching weeks) to complete. They will learn that people thrive in a purposeful, stimulating and fun environment. All Apprentices will be allocated a main coach to be their individual mentor throughout the scheme. They will be taught how to run a tournament for Adults and juniors. Apprentices will be expected to act as a manager of a Mini Tennis team in 3 matches/tournaments during the 6 months. Every 3 – 4 weeks each Apprentice will have a one to one feedback meeting with their mentor which parents are invited to. An Individual review will be given at the end of the 6 months. All Apprentices will be CRB checked and complete a first aid course. What is expected of the Apprentice throughout the training? On completion, successful apprentices will be given a certificate and the opportunity to continue working as part of the coaching team. Apprenticeship scheme adapted from an idea by Tom Carlton, Polo Farm Club. To download Renewal/Enrolment forms right-click link and select 'Save target as' to save to your computer. Files available to download in PDF format. Adobe Acrobat Reader required to view.